Frank has used AAC devices for many years. Now he has the ability to communicate with others over email, text messaging and facebook. Frank is learning how to make phone calls with his device. He also loves to play music and control his TV via Infrared (IR) control. Deb can also use her device as a remote control to manage her Comcast DVR and TV, lights, fans, or anything that uses an IR remote control. She is in the process of getting a new IR phone through the PUC Deaf and Disabled Telephone Program. She will be able to pick-up, hang up and dial her phone by herself. Meghan lives a very active, rich life and has a very full schedule. Meghan uses multiple communication methods including verbal speech, signs, her ipad and her Novachat Speech generating device. Meghan uses the symbols and text in the Wordpower 60 Basic core word vocabulary to build sentences word by word. This makes writing and speaking accessible to her as her spelling skills are not adequate to spell what she wants to say. Meghan loves to meet with friends, go bowling, take art and music lessons, play with her dog, Abby, and She loves to hang out at Starbucks with friends. Ask her and she will show you videos of these favorite activities. Both of her devices have the ability to play videos launching them from right inside their vocabulary pages. This gives her the power and independence to direct her own care and train her staff on how to do things safely. Watch in the video how meghan tells people how to secure her wheelchair in the van. 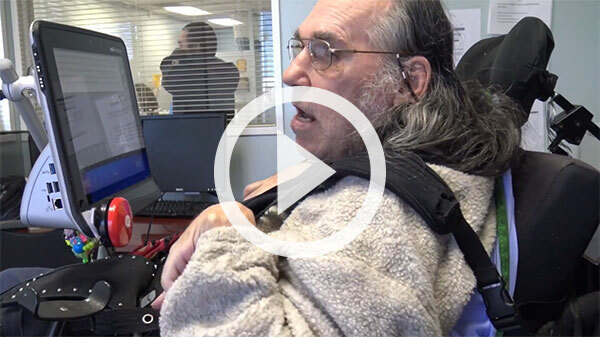 Sometimes Jamie's health and mobility issues may prevent him from getting out in the community but his Assistive Technology keeps him connected with the world. 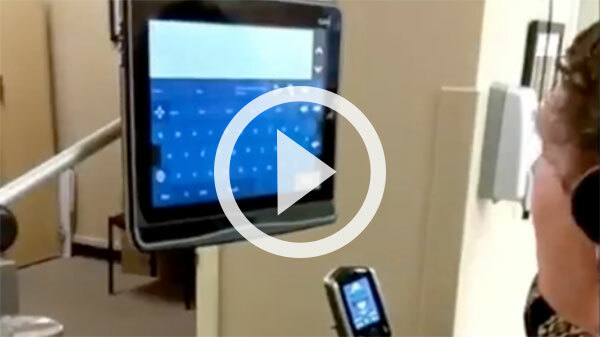 Jaime has used his a Tobii communication system for several years. Previously he used a camera mouse which followed his head movements converting them into mouse moves. He was also only able to communicate face to face. Now he uses eyetracking to access his Tobii i15 device. HIs Tobii i15 gives him the power to both communicate with others and access the internet. Jaime has found that eyetracking fast and less fatiguing to use. He is well on his way to take college classes pursuing his passion to study law. Watch this video to see how Jamie quickly navigates around the internet using zoom highlighting to help him click on small targets. In this video he is accessing the web based "Canvas" learning system enabling him to take courses from home.